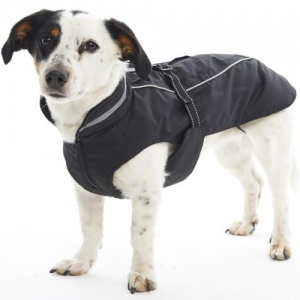 The BUSTER Winter Jacket material makes this large dog coat fully waterproof and windproof. The fleece inner and fleece collar keep your dog warm and makes the jacket comfortable to wear. The BUSTER Winter Jacket makes it an easy task to put on and take off. Fits male and female dogs. 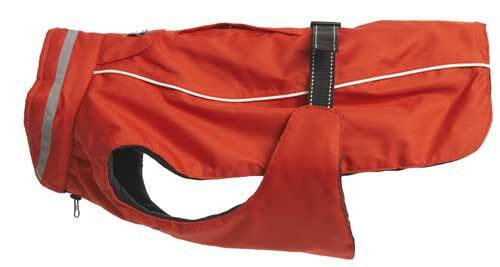 The neck is adjustable to fit your dog's size.